No matter what kind of business you're in, you must have a constant flow of new leads in order to grow your profits and your market share. Without fresh, targeted leads, your business will eventually wither away. We all know this to be true, but the process of generating leads is normally tedious or expensive. What if you could get more leads per day in a fraction of the time that you're spending now simply by using one tool? 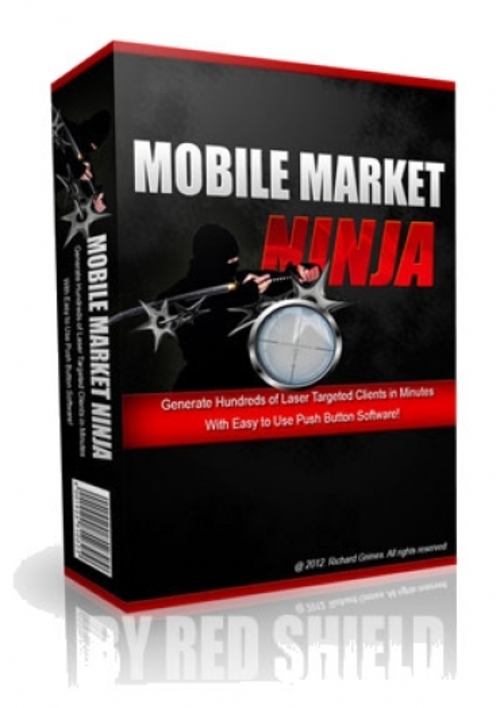 If that sounds appealing to you, then you should check out Mobile Market Ninja. This amazing new software tool is super simple to use and produces results within seconds. Simply type in the name of your niche and the geographical location you want to search in. With just a single click, you'll have a complete list of the business names, addresses, telephone numbers, and websites. It doesn't matter what your niche is, if you target off-line businesses, then you will very quickly discover that this simple yet effective bit of software will make your lead generation more targeted, more efficient, and more fun. Stop spending time doing your own data research. Get your copy of Mobile Market Ninja and let the software do the work while you build your business. I promise you: you'll be very happy with the results.